Courtesy photoRob Cavallo moves from valued employee to Truckee Sports Exchange general manager. TRUCKEE, Calif. – The Truckee Sports Exchange promoted longtime employee Rob Cavallo to general manager. Cavallo has played a key role in the growth of Truckee Sports Exchange over the past six years as an employee and manager. Together with owner Brent Cutler, Cavallo has instigated several exciting initiatives that helped the West River Street storefront recently win the title of “Best Sport Shop of the Year” in the Best of Tahoe edition of the Sierra Sun and was also recently nominated for best small business of the year by the Truckee Donner Chamber of Commerce. 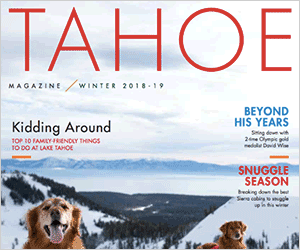 Cavallo saw the opportunity to provide locals and visitors with a positive shopping experience in the Truckee-Tahoe area. As a result, the Sports Exchange is now home to Tahoe Mountain Guides and Cyclepaths, offering sports enthusiasts a one-stop-shop for all mountain sporting endeavors. Cavallo also realized the need for a better ski and snowboard service department in the Sports Exchange and worked to develop a state-of-the-art tuning shop. With their new Wintersteiger tuning equipment and a newly renovated tuning shop, the Sports Exchange is eager to get skier’s and rider’s equipment in top shape for the slopes. The owners of the Sports Exchange are proud to recognize Cavallo’s dedication to the Sports Exchange’s growth and development by announcing him as the store’s new general manager. Cavallo studied business at the University of Nevada, Reno and lives with his wife in Glenshire. The owners of the Sports Exchange are also proud to announce the winner of their inaugural “Snowfall contest” and sponsorship of the KTKE 101.5 Heli Trip promotion. Guests of the Sports Exchange Labor Day sale were asked to predict the date of the first snowfall in Truckee of at least 3 inches. The winner, Nate Kushlan of Alpine Meadows, correctly predicted that the Sports Exchange would received at least three inches of snow at their doorstep on Oct. 22. Congratulations, Nate Kushlan. 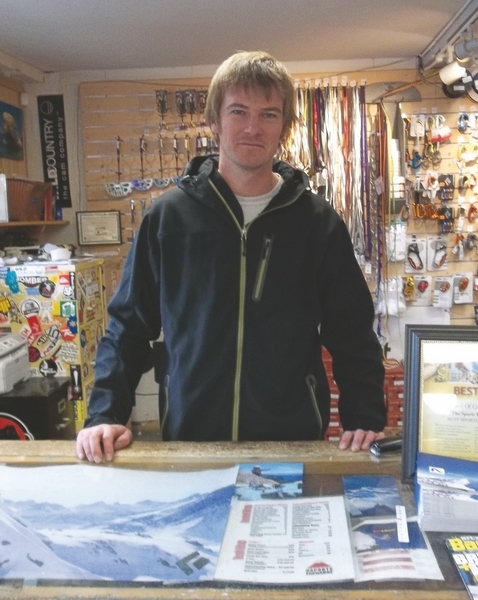 The Truckee Sports Exchange specializes in new and used sales, rentals and servicing of sporting equipment for mountain sports including rock climbing, cross-country/AT/tele/alpine skiing, camping, kayaking, and stand up paddle boarding. The Truckee Sports Exchange’s knowledgeable staff is proud to outfit Truckee’s locals and visitors for all of their outdoor adventures. Located at 10095 West River St. in Truckee, the store is also home to an indoor bouldering gym. For information visit http://www.truckeesportsexchange.com or call 530-582-4510.